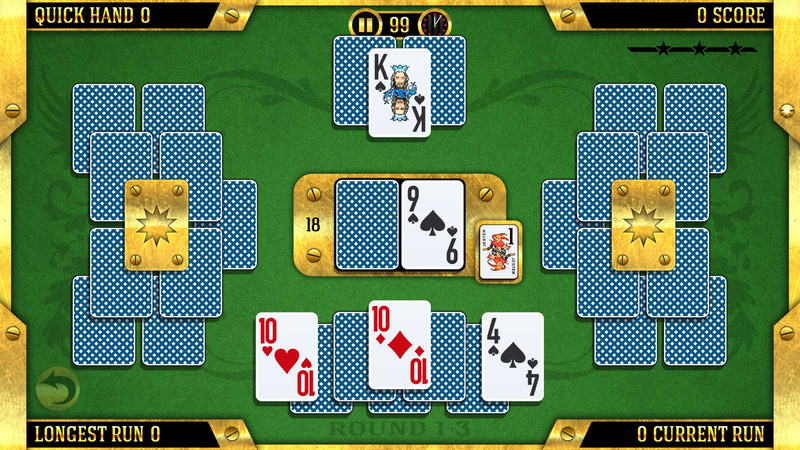 Addictive social tournament card game, known as pyramid or tripeaks solitaire. puzzle solitaire world together with your friends! We collected the best social game experience to bring it to you. 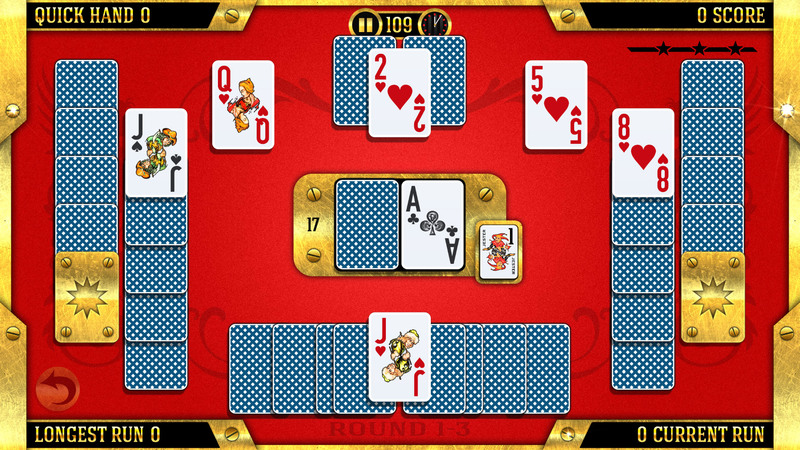 We are quite sure that everyone who likes tri-peaks, pyramid, freecell, spider, diamond, klondike, club, hearts and other solitaire games, of any age, from teen to wisdom, will love the ability to join the global social solitaire arena. – additionally, every your friend can help you with a hearts every hour 24/7. – there are some special cards on the table, like gold tower (or peaks) card (for extra points) or key card (to unlock the way). All who played tri-peaks style games knows it well. – every star you achieve give you one gold coin, so replay and earn more! 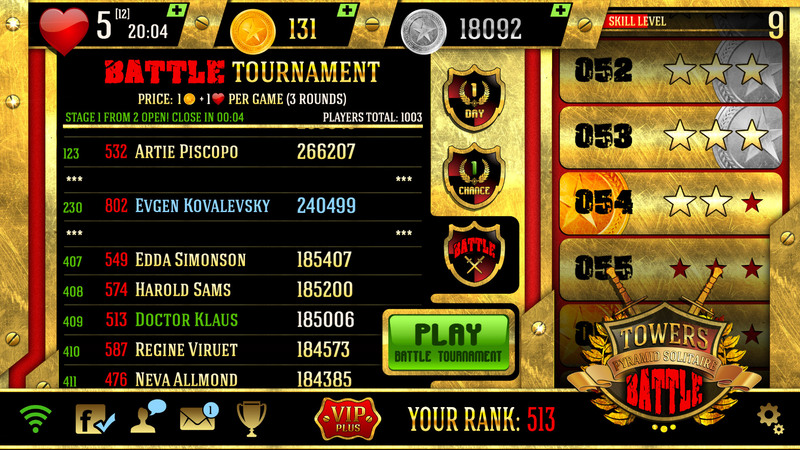 – 1 Day Tournament : everyone and everyday is welcome to get some gold here, like in Klondike, but with more fun. – 1 Chance Tournament : only 1000 players, only the one try to get prize here. Equal Chance for all – everyone play the exactly the same card layout here. – Battle Tournament : consist of two stages: qualification and final, both of 1 hour length, kind of a blitz battle. Winners pays less, but takes more. – use bonuses to boost your score. For example, taking the Timer Bonus before you play, you will get more time to play, depending on you Skill Level. And taking the Joker Bonus, you get the wildcard that beat any other one. – some levels are quite complicated, like mahjong pyramid layouts, but all of them are real, don’t give up! You can invite your Facebook friends just inside the game, but don’t hesitate to to use any other social network you now. More friends – more fun! Thank you for joining us, and welcome to our club!